WWF’s One Planet City Challenge is a friendly competition with a serious goal – to help cities across the world mobilize to take action against climate change. Volvo Construction Equipment (Volvo CE) takes a closer look at what the world’s cities can learn from this year’s winner, Uppsala in Sweden. Over 50% of the global population live in cities – with that figure set to rise rapidly over the next few years. Recognizing the significant environmental impact of global urbanization, WWF started the One Planet City Challenge (OPCC) in 2011 in order to help authorities create cleaner, smarter and more efficient urban areas. Now the longest running competition of its kind, the OPCC has enlisted 411 cities to accept the challenge and has overseen 5,732 climate actions implemented in response to the program’s call to arms. Volvo CE looks to Uppsala to discover how a small city of 156,900 people is now a global case study for sustainable innovation. 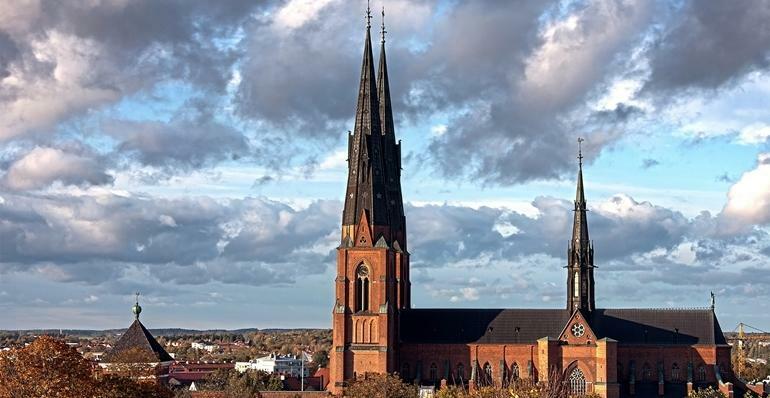 Uppsala impressed the jury with its long-term aims, which were in alignment with the Swedish Climate Targets – a goal to reduce greenhouse gas (GHG) emissions by 40% from 1990 to the year 2020 and carbon neutral by 2045. But the international panel of 19 experts was particularly impressed by the way the city allocated budgets and set ambitious regulations. For example, it set strong targets to cut the net community CO2 emissions by 100% by no later than 2050 – and to become climate positive, which means actually removing additional CO2 from the atmosphere. Experts at WWF say that there are three key areas that cities should focus on if they are to reduce their carbon footprints. 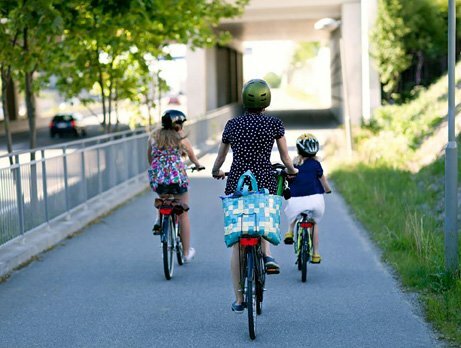 These are sustainable mobility, eg making transport more environmentally friendly, renewable energy, and urban greenery, such as parks and green spaces. Uppsala’s investment in transport infrastructure really set them apart from the other contestants. The city aims to have fossil-free local transport and energy sources by 2030, and has invested heavily in infrastructure to support electric cars, as well as climate-friendly housing and transport in newly built residential areas. Sustainable mobility like this is key to reducing urban air pollution, but has the added benefit of freeing up road space for things like urban greenery. Incorporating green spaces into urban planning can have a huge positive impact on people’s mental health, but also cleans air and water systems, additionally improving residents’ physical health as well. City dwellers consume 75% of the world’s resources and are responsible for producing 70% of global CO2 emissions, and all these figures are set to rise. Urban populations are expected to increase from 4.2 billion to 6.7 billion by 2050. Although cities are currently a huge source of emissions, they are also innovation hubs for climate solutions – and the WWF recognizes this. Every two years, the OPCC recognizes the huge advancements and targets of cities around the world, who are all working to lower their carbon emissions. Within these cities it is buildings that often account for the largest amount of CO2 emissions. In Vancouver, Canada, for example – one of the OPCC’s previous winners – 59% of energy emissions come from buildings and that’s not an uncommon figure for a city in the north. Designing buildings to be greener can have a significant effect and is something that will continue to be a key focus for future OPCC projects. Canada is already ahead of the game – it is currently transitioning to a zero emissions policy, which will make it mandatory to build buildings that only use renewable energy by 2030. Changing the way buildings use resources during their lifetime is a big step in reducing city emissions. But this only takes into account the operational emissions of running a building. Recent studies have highlighted that the real culprit is the embodied carbon that is emitted during the construction process. Some buildings would need to operate for more than 200 years for the operational energy emissions to equal the embodied emissions of constructing the building in the first place. One way to reduce carbon emissions during construction is the electrification of construction and quarrying machinery. Volvo CE’s developments of 100% electric excavators prototypes and its recent electric site research project are challenging traditional methods of construction and quarrying. When it comes to sustainable cities, we have a long way to go but the WWF’s flagship OPCC program not only supports and drives cities’ green development but it also provides a platform for cities around the world to share ideas. Cites are the biggest contributors to the problem but – as Uppsala proves on a global scale – they can also be part of the solution.